Modern science is like that old ’86 Honda in the garage… either due for a complete overhaul or ready to be replaced with a hybrid. It’ll probably have to be replaced, as I explain in this article. Spiritual understanding, as made available to us through ITC (instrumental transcommunication) contacts. Well, most of us already have a pretty good general idea of what science is all about… since it’s the wonders of science that have forged the miracles of modern civilization… space exploration… the Internet… cell phone technologies… mass transit systems…. So let’s focus here on the spiritual realities that will transform science in the not-so-distant future… other-worldly truths that have been made known to us only in the past few decades… through ITC systems. This is the information that will reshape the world… though only a handful of people are aware of it… those of you who read this website or who have read the Contact! ITC journal that I published in the late ‘90s. All of the following information comes from the 97/01 issue of that journal. This contact is an attempt to develop simultaneous sound and picture transmission. Further tests shall follow. They are built on a secure electromagnetic field. At the moment of contact, the recording heads of the VCR are being impinged on. However, this can only be successful when the experimenter is at that time totally relaxed, in a positive frame of mind, and harbors no fearful thoughts. The statue to be observed is a nature being by the name of Harxeli. 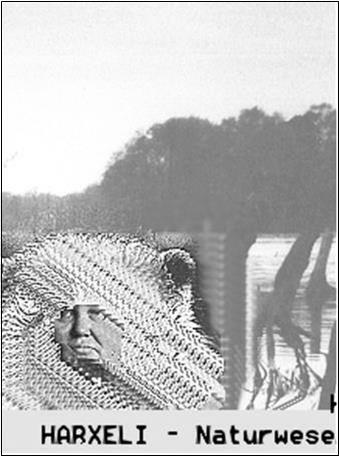 This picture was delivered to the computer of ITC researcher Maggy Fischbach not long after she received the text. Apparently the video experiment failed to manifest a clear TV image of the nature being Harxeli, so the image was conveyed via computer. The make-up of these beings is especially suited for picture support of the sound contact (in this case of Ernst Mackes). These beings live in different universes simultaneously, The vibrations of their bodies allow them to combine the electromagnetic currents that flow in every universe known to us. They apply it to the receptive human being (who through his spiritual readiness exhibits a sort of focused or energized will. The combined energies produce the picture and sound in the magnetic heads of the technical equipment. Unfortunately, many people on your side have lost their relationship to nature. They cut their path to nature spirits and thereby also closed the contact to other spheres in which their “dead” relatives continue to live. If you want results with technical equipment, you should not forget to love nature, cultivate it and protect it. This may sound strange but consider that everything forms a unity. All successful experimenters have known this and taken it to heart, those who are now on our side of the river and those who are still on your side. Below are some passages in this letter that deserve closer attention, each followed by comments and possible implications. The recording heads of the VCR are being impinged on. However, this can only be successful when the experimenter is at that time totally relaxed, in a positive frame of mind and harbors no fearful thoughts. Interpretation: Our state of mind is a key to successful ITC contacts. We can learn to deal with stress and center our life around love. (Some Nature beings can draw upon multiuniversal energies and apply them) to the receptive human being who through his spiritual readiness exhibits a sort of focused or energized will. The combination of both energies produces the picture and sound in the magnetic heads of the technical equipment. Interpretation: Some nature beings are living transducers of life energies flowing at many levels of spiritual and physical existence. They can provide the energies needed to gather information originating in spiritual dimensions and deliver it to our physical dimension through electromagnetic energies. We on Earth must be able to focus our will so that our thoughts can shape our reality in a favorable way. If you want results with technical equipment, you should not forget to love nature, cultivate it and protect it. This may sound strange but consider that everything forms a unity. Interpretation: Atonement (at-one-ment) with all life lifts the human spirit and opens doors between dimensions. The world in which we live, which you call ‘the other side,’ is constructed according to the basic laws of Ptolemy. The ideas that living and deceased persons hold concerning this structure are misleading. The life view of Ptolemy was then obliterated by followers of Copernicus. This life view correspondingly reduced the number who arrived here geometrically. At the moment, due to the imprint of Einstein’s view, and because of numerous new theories from your side — Hawking, Sheldrake, etc. — the other side here is, one might say, ‘out of joint’…. 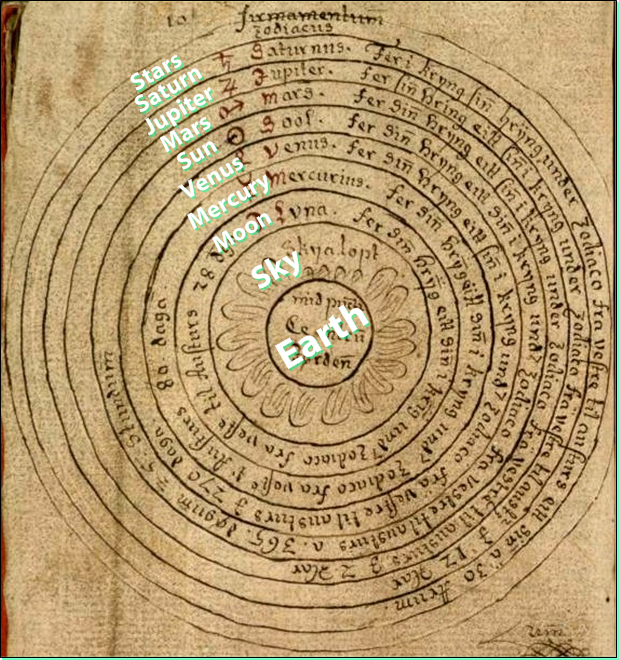 Ptolemy had a geocentric view, meaning Earth is at the center of the universe. New stations will develop, this cannot be stopped. Bridges between the two worlds have been built. They cannot be torn down again. However when and where new development starts is up to you. Those who understand this will receive help. Bridges between the two worlds have been built. They cannot be torn down again. However when and where new development starts is up to you. Those who understand this will receive help. Interpretation: I imply in many places on this website that the ITC bridges built during the time of INIT (involving spirit groups Timestream, Centrale, Cloverleaf, and others) were irreparably broken down by personality conflicts and incompatible attitudes among us human researchers. This contact argues that the breakdown is not irreparable. The bridges are in place, just waiting for the right attitudes to prevail among researchers here on Earth. There’s a chance, then, that my presumption about the irreparable breakdown of ITC bridges is wrong and is actually helping to restrict the coming golden age of ITC. In case that’s true, I will try to adjust my view, focusing after today only on the building of bridges, not on their breakdown. I may even go through the site and adjust my writing accordingly. The following text was found on a diskette right after it was formatted in Luxembourg on 1996 August 31, at 3:30 p.m. When these tubes “unroll” a little or open (during contact) the constants are momentarily changed. Also, time ceases to exist. This can occasionally be dangerous. After careful consideration we decided against any contact attempt (during INIT’s founding meeting in 1995) in Dartington Hall. Not because we do not want to, or because your group is not unified enough, but because it would create a wrong starting basis for the coming goals and tasks you will be tackling together. The success of a direct contact would be very questionable anyhow because of the totally new location and the new makeup of your group. The equipment to be used would have to be different. The means momentarily available to you would not give the results that we are looking for in the future. A totally new (still to be developed) apparatus can be used during later meetings. Its construction will have to be done by you, with consideration of material we already mentioned in many past contacts. Priority should always be given to the spreading of ethical-moral thoughts and considerations. This should never be done through the mass media. Peace and friendship for all life. — Swejen Salter and Konstantin Raudive. Making ITC contacts repeatable is as impossible as simultaneously determining the position and vector of an electron. Some aspects of scientific methodology are proving to be outmoded or nonapplicable in the fields of interdimensional research. One is the need to replicate an experiment to validate its results. Spiritual experiments, as a rule, are not easily replicated. Space-time consists of eleven dimensions, of which only four can directly be perceived by you. On one hand we are told that the number of dimensions and their divisions are arbitrary, that there are many, many levels of physical and nonphysical existence, from the material domain to the timeless ethereal realms, all superimposed upon each other, each remaining distinct by the frequency or vibratory rates of their substance. Does the term “space-time” refer only to physical dimensions? (During ITC contacts) time ceases to exist. This can occasionally be dangerous. Readers familiar with the secret government project called “the Philadelphia Experiment” after World War II in which a navy ship was dematerialized… removed from our physical world for “a period of time”… are fully aware of the dangers involved in interdimensional work. Construction (of a new earthside ITC apparatus for contacts before groups of people) will have to be done by you, with consideration of material we already mentioned in many past contacts. Here is where ITC researchers can “earn their keep” as they jog their memories of past contacts and dig through texts generated in the last 10 years to gather all that’s been recommended by our spirit colleagues on the composition of ITC systems. Another contact was received in January 1994, via fax, from Dr. Yang-Fudse, an ancient Chinese physician, who had recently joined the Timestream Spirit Group. Maggy and Jules Harsch-Fischbach of Luxembourg received the fax while they were not at home. After a long interruption of your audible and visual contact reception… a new contact bridge was activated. Among other things it will make it possible to stabilize these fax contacts. Also, the desired pause enabled the peripheral field of reaction to be recharged which is needed for the healings. One might say that by strong use of the centers of feeling this field was worn out. Beginning now, it is being reshaped during the next few days. We know, some among you still find it hard to look at these contacts, and in particular the fax contacts, as authentic transcommunication. Be advised, you skeptics, just as our friend Ralf Determeyer uses the term “cymatic” in reference to the influence of waves ON matter, so should you look upon audible and visual transcommunication as influencing electromagnetic waves BY matter (in this case predominantly spirit matter). Should not everyone get this type of transcommunication in the form shown to you? No! It is not everyone’s way. Do not envy those who walk this way, for it is long and full of thorns. Many of you would quickly want to get off it. My greetings to you honorable citizens of the blue planet. Two statements here deserve closer attention, each followed by comments and possible implications. The desired pause (in contacts) enabled the peripheral field of reaction to be recharged…. By strong use of the centers of feeling this field was worn out. Interpretation: The contact field consists largely of our emotional reactions. When we are stressed out due to adversity and overwork, the field grows weak. We can recharge it by dealing effectively with the stress by such means as rest and recuperation. In specially suited experimenters (to whom you wrongly refer as “successful”) there develops a sort of “emotional lance” in the center of their emotional consciousness which “materializes” inaudible and invisible tones, signs and pictures in your realm. Interpretation: Usually we think of success in a project as the natural outcome of diligence, persistence, hard work, creativity, shrewdness, adequate funding, a sound scientific methodology, and other such factors. Apparently ITC contacts cannot be regarded as “successful efforts” in the usual sense. Rather, certain people have a certain aptitude for ITC. According to this spirit contact, that aptitude might be a sort of penchant for passionate daydreaming in which a person not only forms vivid mental impressions of concepts and images and sounds, but does so with a great deal of feeling. Perhaps a creative mind provides the vehicle for ITC contacts, and passion and enthusiasm are the fuel. This is Konstantin Raudive speaking. This morning at 8:26 for the first time, a contact attempt was made to Stations Rivenich, Schweich and Luxembourg simultaneously. Station Rivenich was not ready to receive and Station Schweich was activated. Unfortunately, not enough energy was available to activate the answering device again. The contact was received in its entirety by the computer in Luxembourg. This was Konstantin Raudive. Tell people to pay attention to their dreams; they shall soon notice a change in their so-called reality. Interpretation: Many of our dreams are actually travels out of body into spiritual dimensions, and learning to remember dreams has long been an important step toward spiritual awareness and growth. Predictions of major changes on Earth are being reported from many sources, and sometimes they are reflected in our dreams. Not enough energy was available to activate the answering device again. Interpretation: It requires a great deal of energy on the part of our spirit colleagues to make these contacts possible, and apparently the three-way contact attempt required more than they had anticipated. They got only a partial message onto Mr Malkhoff’s answering machine before the simulcast experiment ran out of energy. Later on they apparently tapped into more energy to deliver the second phone message. A stable contact field brings together energies from many dimensions, not just the electromagnetic energies of our physical world. Etheric energies are rather dense spiritual energies, what frontier physicist William Tiller calls “magneto-electric” energies. They might include what various other people have called “orgone” and “ectoplasm”. Astral energies (what Dr Tiller calls “deltron” energies) are subtler still, and they include our emotions. Our bodies are natural transducers and transmitters of these energies which, according to Dr Tiller, affect electrons and can be directed by the mind. We on Earth are now approaching the time when we may want to start charting the characteristics of these various energies and coming up with some sort of standard terminology. Hopefully with the help of our spirit colleagues. Perhaps Nature spirits such as Harxeli who use all these various energies could share with us their impressions of how each type of energy “feels” to them when they are tapping into it. So, these are some of the principles that will have to be woven into the foundation of a new science that begins to explore beyond the material domain of time and space… into the worlds of spirit. This entry was posted in After we die, Heaven and Earth, Inner exploration, ITC, Other-worldly matters, Our paradise destiny, Science and Technology, Spiritual realms and tagged new science, ptolemy, science and spirit, spirit-world science. Bookmark the permalink. A most valuable posting Mark. Thank you. I had an experience last week in which I was advised via higher contacts in the art of Letting Go. I was actually trapping a family member in aspects of his disease and pain by way of my own belief system about him. It is a piece of advice which aligns with the intent of your words. And we must always be aware of, and try to reform our ongoing judgments. You are building the bridges you write about. Mark – I’m still on that (never-ending) spiritual journey. The best way to state what I’m learning(overall) is that while there are differences on how things are being said (by the spiritual world) – the similarities (of “what” is being said) are so similar that they are convincing. “Thoughts” are “things” – your analysis above seems spot-on. All of us can make a difference simply by adjusting our own thoughts. I’m currently reading Ra – the law of One. While I realize you put less emphasis on verbally-channeled information, I think the people and the process behind the channeled communication should be taken into consideration. There is much alignment between what you’ve written (of the information you’ve shared with us) and the teachings provided through the experiences of the small group behind the Ra teachings. A brief review by you (of the information shared via the Ra communications) would be interesting (if you haven’t already). It seems there are many who try to help us. The messages and the history they provide are convincingly similar. As always – thanks for your work, and this forum. Yes, there seem to be many parallels with ITC information in general concepts such as multidimensionality, the quest for oneness, the spiritual qualities and possibilities among us humans… and I like the word “distortion” used to imply how information from the entity Ra is altered by the human mind of the channel as it comes into our world. Given the limits imposed by the ‘distortion,’ it’s my sense that the information in this large collection of articles is bound to contain a LOT of valuable wisdom. Maybe one advantage of ITC is the ability of the ethereals to convey very specific and accurate information (such as ancient castaways on Earth from the late, great physical planet called Marduk or Eden, and humans living in peace with each other and with the planet here on Earth before the last ice age) that is beyond the knowledge of the human channel. The information through a stable ITC bridge might have less “distortion,” in Ra’s terminology, and a greater potential for pure insights into the vast oceans of unfamiliar knowledge “out there” in the omniverse.